"This is a terrible decision," Brady said in a statement. "It sends the message that the same legal, ethical and Constitutional standards we all live by do not apply to Washington political appointees—who will now have the green light to target Americans for their political belief and mislead investigators without ever being held accountable for their lawlessness." Brady also pointed out that the Justice Department is choosing not to hold Lerner criminally liable for obstructing an inspector general’s investigation into her and other IRS officials’ activity, and noted Justice is also continuing to defend the IRS’s "unconstitutional actions against taxpayers in ongoing civil litigation." "I have the utmost respect for Attorney General Sessions," he said, "but I’m troubled by his department’s lack of action to fully respond to our request and deliver accountability." Justice’s decision does not mean Lerner is innocent, but instead is proof that the justice system in Washington is "deeply flawed," he said. Roskam called the decision not to prosecute Lerner a "miscarriage of justice." "On top of Ms. Lerner’s actions against taxpayers—denying tax-exempt status to groups for political gain and failing to protect taxpayer information—the department’s response blatantly ignores our most troubling finding: that Ms. Lerner intentional misled federal investigators in a flagrant violation of the law," Roskam said. Back in April, Brady and Roskam had written Sessions asking him to review evidence their committees had gathered, as well as other evidence from a Treasury Department’s inspector general probe. In the letter Sessions sent to the GOP lawmakers, he said the department did not make the decision to keep the Lerner investigation closed lightly but did so only after carefully studying the law in an "objective" manner and "giving the evidence utmost consideration." "As in every case, if new information emerges that is relevant to this matter, the department will consider it in an appropriate and timely manner," he wrote. Sessions also pointed to conclusions from the Treasury inspector general after his probe. The inspector general had uncovered substantial evidence of mismanagement at the IRS and had concluded that the IRS’s "mishandling tax-exempt applications disproportionately impacted applicants affiliated with the Tea Party and similar organizations." But he said that the Justice Department, which was under the Obama administration’s control and run by former Attorney General Eric Holder at the time, had not found any evidence that IRS officials had any "criminal intent" motivating their actions. "The department therefore stated that it was closing the investigation and would not pursue criminal charges," he wrote. Earlier this year during the first months of the Trump administration, Sessions said senior Justice Department leaders met with leaders in the criminal division "responsible for supervising this matter" to get a "detailed review" of the evidence, including the information the Ways and Means Committee provided, and the reasons the decision not to pursue a criminal prosecution of Lerner and others were made. In addition, he wrote, "attorneys who recently joined the department in leadership positions, and who had no prior involvement with this case, independently reviewed the investigation and the facts and law at issue." "After the process, the department determined that reopening the criminal investigation would not be appropriate based on the available evidence," he concluded. Sessions also noted that the applicable criminal statutes require "proof beyond a reasonable doubt that a government employee intentionally discriminated against an applicant for tax-exempt status based upon viewpoint." The GOP-controlled Ways and Means Committee spent three years investigating allegations that the IRS during the Obama administration unfairly targeted tax-exempt conservative groups. Among the committee’s findings is that Lerner used her position to improperly influence agency action against only conservative organizations, denying the groups due process and equal protection rights under the law. The panel found Lerner targeted conservative organization Crossroads GPS, as well as other conservative groups, while "turning a blind eye" to similarly organized liberal groups, such as Priorities USA. 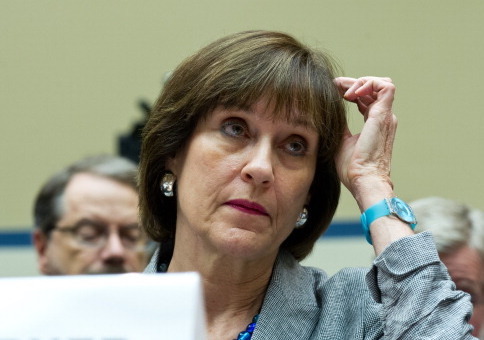 The panel also uncovered evidence that Lerner impeded official investigations by providing misleading statements in response to questions from the Treasury Inspector General for Tax Administration and risked exposing, and may actually have disclosed, confidential taxpayer information, in violation of federal law by using her personal email for official business.